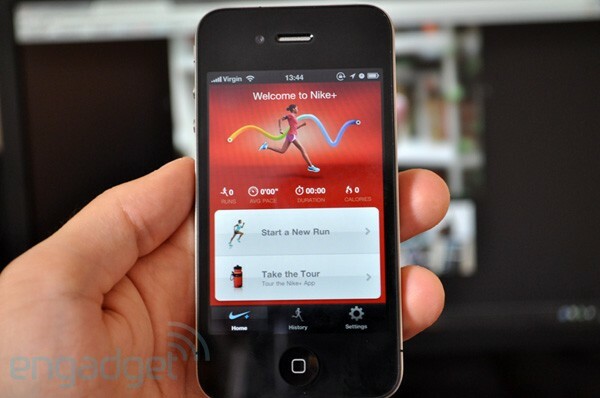 At the beginning of this week, Nike revealed its new Nike+ GPS App for iPhone and iPod touch. The two greatest advantages is that the app is available for only $ 1.99 and you don’t need the sensor or the shoe. It uses GPS to track where you run—something the old version was lacking. Within the new version, Nike+ GPS enables runners to observe their progress, uses the iPod’s built-in accelerometer and GPS to track pace and distance. It also records routes taken via Google maps and features familiar Nike+ features like celebrity(i.e. Lance Armstrong) feedback and encouragement messages, PowerSongs and data Syncing with the Nike+ website.